I’ve always been good at social studies. Growing up, it was always my favorite part of the school day, and my academics reflected that. I earned A’s in social studies and English, but that trend didn’t always extend to math. As my mom likes to put it, I’m good at words, not numbers. In high school, this pattern continued, and I began to really think about it. I knew that I wanted to attend college, but I wasn’t sure what I would study. This was a few years into the huge STEM surge that we are still going through, and those studies were being pushed heavily at my school. I knew that numbers aren’t really my thing, and I began to worry that I had no idea what I wanted to study. At the same time, I was excelling in my history, economics, and civics classes, and I was also really into reading dystopian novels like 1984 and Brave New World. I was wary of wanting to pursue these studies in college because I was well aware of the jokes surrounding the liberal arts, and all my friends were planning on studying STEM fields like computer science and engineering. Luckily, this hesitation ceased in the fall of my senior year of high school. The class that changed everything was my 4th period political science class. I’ve heard of poli sci prior to this class, but I didn’t really know what it was. In case you’re not sure of what it is either, political science is the study of power, specifically what power is, how it’s distributed, and how it should be distributed. In essence, it looks at how society is run and maintained, and possibilities of how those operations can be done better. I absolutely loved that class, we talked about theory, current events, our own opinions, justice, and a whole lot more. After I took that class, I had my mind made up, I was going to study political science in college. During my senior year, I also took a sociology course, which I also loved, but I had my mind set on political science. Fast-forward to junior year at UMD. I was a happy poli sci major with a sociology minor. I didn’t really pay too much attention to my progress in sociology beyond making sure that I was on track to complete the minor. While applying for Spring semester classes I decided to look at what it would take to complete a sociology major as well. As it turned out, I was much closer to that reality than I thought, but there were still a few obstacles in the way. I would need to complete a branch of required courses related to completing an internship, and it didn’t seem that I would be able to complete everything and graduate on time. The first course in the branch seemed to be similar to one that I completed for my political science major, and so I reached out to my academic advisor to see if I could get that course waived. I got the paperwork for the request, but life got in the way and I forgot to submit it. I still regret not at least submitting it and seeing what happened. Maybe I would be a double major now. I care a lot about sociology, just as much as, if not more than, political science. If you’re wondering, sociology is essentially the scientific version of people-watching at the mall. The goal of sociology is to better understand how society functions and how people interact with each other. It allows me to better comprehend the world around me and the potentials for improvement. In fact, I am applying to attend grad school for sociology because I want to continue learning and figure out how I can connect those lessons to a career. So that is the story of how I chose my major, and a minor that I wish I had picked up as a major. Even though I came into UMD with an idea of what to study, I still regret my hesitation in figuring out what additional opportunities I had. Hopefully, my experience will encourage you to take those extra steps if you are in the same spot that I was. 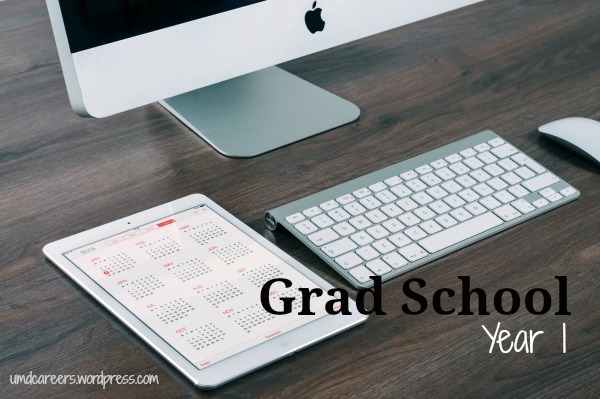 This past year, I have been going through the daunting process of choosing a graduate program. It’s a process I began during the spring semester of my junior year, and one I’m still not quite done with a year later. From choosing programs to apply to, to actually applying, to interviewing, and to committing to attend a program, getting into graduate school is no easy feat. There are several items to consider during this process. Here are the ones that have been most important to me. The first part of choosing a grad program includes looking beyond the basic area of study to what exactly you want to specialize in or focus on in your program. For me, this meant finding a counseling program that would provide me with a broad education, but also allow me to take elective courses in certain specific areas. Making sure your program’s focus or potential specialty areas are right for you is essential. This could be as broad as a country you want to be in or as specific as a certain area in a specific city. I knew I wanted to move out of Minnesota and the midwest for grad school, so I selected a few states I would like to live in to focus my search. When you decide where you want to go, you are committing to living in that place for the duration of your program (and possibly beyond). Finding a location you’re happy with is important! Once I knew what type of program I wanted and where I wanted it to be, I then focused on schools with CACREP accreditation. Based on conversations with those in the counseling field, I was recommended to focus on programs with this top-notch accreditation. For this factor, it’s definitely helpful to ask those in your field what you should be looking for in a quality program. After making a list of potential programs based on the above factors, I looked more specifically at which programs could be a good fit. “Fit” is an important aspect of this process for you in choosing programs and for the programs in choosing you. Being in a program that’s a good fit is essential for your success and satisfaction in the program. For me, this process involved finding programs less focused on research and more focused on the client-counselor relationship, personal growth, cultural competency, and a variety of other factors. This factor includes any experiential, hands-on, out-of-classroom opportunities in your program. I looked at when I would complete practicums and internships, what they would be like, and where students in the program are placed. That last piece is important, because you don’t want to end up in a program where you won’t be able to get the field experience in the specific area you’re interested in. The program’s cost and available financial assistance are important, but it’s also important to look at how much it will cost to simply be alive in the city you’ll be in. This was something I didn’t really think about when choosing programs to apply to, but now that I’m almost at the point of committing to a program, it has become a concern. The two programs I’m currently deciding between vary greatly in this area (on rent cost in particular), so this is something I’ll be considering. After looking at all the above factors, I know I’ll be making my final decision based on which program just “feels right.” Based on tours of the campuses and cities and my impression of the program from my interviews and conversations with staff and faculty, I’ll determine which one is the best grad program for me. The factors I’ve listed here are only a handful of items to consider when choosing a grad program. 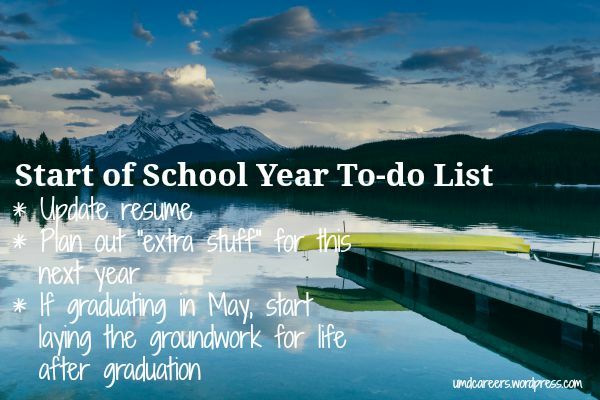 For help in this stressful process, I definitely recommend scheduling an appointment with one of our Career Counselors to gain some clarity! Many people who plan on attending grad school have heard of the Graduate Record Examination, or GRE. The GRE is basically the grad school version of the ACT or SAT, except more daunting. Before taking the GRE, I heard primarily horror stories from GRE survivors. And, I’ll admit, studying for and taking the GRE is not the most enjoyable thing you’ll do. However, there are several things you can do to make the process less stressful and give yourself the best shot for success. Here are some of my tips for making the GRE as painless as possible. First of all, make sure it’s required. Before you start preparing for the GRE, make sure you actually need to take it! Only certain areas of study use the GRE in admissions decisions, and within those areas, only certain programs will require it. Before signing up for the test and cracking open a prep book, look at the programs you’re interested in to see if you even need to! I’m so grateful I took the GRE during the summer. Doing so meant I could focus on preparing for the GRE without worrying about doing any other homework or studying. Make sure you sign up to take the GRE so that you’ll be able to study regularly for a few months leading up to your test date and not cram or skimp on your studying because you have so many other responsibilities. Figure out what type of preparation works for you. There are many ways to prepare for big tests, so think about the ways that work for you and focus your studying based on that. Does using flashcards to memorize words or equations work for you, or do you like learning them through completing practice questions and problems? Does doing a lot of practice tests help you, or do you prefer reading mini refresher chapters or going to a prep class? With all the time you’ll spend preparing, make sure the methods you choose work for you. Take advantage of free prep materials. Once you know what type of prep works for you, look into all the free materials available. On the ETS website, you can find a few free, full-length practice tests you can complete. These are great, because they’re written by those who create the test and will give you the best idea of what the test will be like. Beyond practice tests, you can also find several different apps or websites for vocab flashcards that can help you prepare for the verbal section. If you want further prep materials, look closely at what the books or other materials will give you before purchasing them. Prep materials vary widely, so pick one that has the resources you need. Know which schools you want to send your scores to. On the day of the test, you can send your scores to four schools for free. If you want to send your scores later, you’ll have to pay $27 per report sent. Even if you don’t know exactly which programs you’re applying to, pick four you’re interested in and put those down. If you don’t end up applying to those programs, that’s fine! Take it easy the days leading up to the test. Know what to expect the day of the test. Security for the GRE is no joke. You can’t bring anything inside – not a water bottle, a jacket, chapstick (all of which I wanted with me) or anything else. You will also likely be filmed and have several other students around you taking different tests and moving in and out of the room. If either one of these is a concern for you, contact your testing center to see if alternate arrangements could be made. To prepare for what taking the actual test would be like, I found it helpful to take a practice test under the conditions of the real thing. This meant taking each section back-to-back, with breaks only at allowed times and time limits on the sections and breaks. Preparing in these ways ensures there won’t be any surprises on test day. While it’s important to study hard and fully prepare for the GRE, it’s also good to remember that how you do on the GRE probably isn’t going to decide whether you get into a program or not. The GRE is just one of several factors considered in admissions decisions, so don’t take it too seriously! Emma Sieling is a student attending the University of Minnesota Duluth’s Medical School. I asked her to sit down and talk about the path to where she is today, and any advice she would give to students looking to go to medical school. Many people would be very surprised to hear what she said. In a world of graduate programs looking for students with research experience, Emma was accepted to UMD’s program for something much more unique: her passion for helping the community. As an undergrad, Emma spent her time volunteering and involved in leadership activities. Despite heavy involvement, keeping life as a college student “balanced” was extremely important to Emma. Her school life was balanced with volunteering her time in the community, pursuing cultural knowledge via her Spanish minor and spending time with friends from the student organizations she was involved in. Every single one of those things Emma participated in were fun for her, not a chore. If you are not enjoying your life activities, she would advise you reevaluate. Emma was an early admit to UMD’s Medical School through the Biomedical Sciences program. This opportunity is available to students who have completed all of their Liberal Education requirements, be on track to graduate in 4 years (with 3 years completed), taken the MCAT, and have grown up in a town with less than 25,000 residents. The number one question she was asked in her interview for admission was, “Why are you rushing into medical school?” This question is the quintessential example of the type of inquiries graduate student admissions panels will ask prospective students. Emma did not waver in her interview. She was fully dedicated to her goal, and could explain with ease why she should be a student at UMD’s Medical School. Knowing your answer to those types of questions will really help your med school applications. Hey everyone! So the last time I left you I talked about post-baccalaureate programs and I mentioned that I received an invitation for an interview at the Mayo. I decided the best thing to do next would be to share with you all the process I went through to get myself ready for my interview. The two biggest things that helped me were research and mock interviews. To start out, I began researching everything possible on the program that I wanted to get into. I researched the curriculum including all classes and descriptions of what each course would entail. I researched the faculty members who were going to be on the panel interviewing me. It wasn’t super in-depth research just their biographies listed on the program web site. I think it helped knowing who I was going to be interviewed by, it relieved some stress being able to put a face to the name. I also made sure to research the goals and competencies that the program director and faculty put in place for the program so I would know what they stand for. Write down your strengths and weaknesses ahead of time – even if they don’t ask you the dreaded “tell me your weaknesses” question, they may come in handy in other questions. Come up with questions for the interviewers ahead of time – it never hurts to ask them about themselves, you know ask them how they got into the field you want to get into. Know what you can contribute, what makes you unique, and how you differ from the other candidates.